Welcome to BowDagger. Thanks for visiting. Below are informational and instructional videos to introduce you to the BowDagger System and the advantages it can have for your bow. Watch each video by clicking on the photo or title. We hope you enjoy our product! http://www.bowdagger.com/ After only a year on the market, we have updated the BowDagger design, dropping its weight by an ounce, and making it ideal for both right and left handed compound bows. It's still laser cut with aircraft aluminum, still warranted for life and still made in the USA! 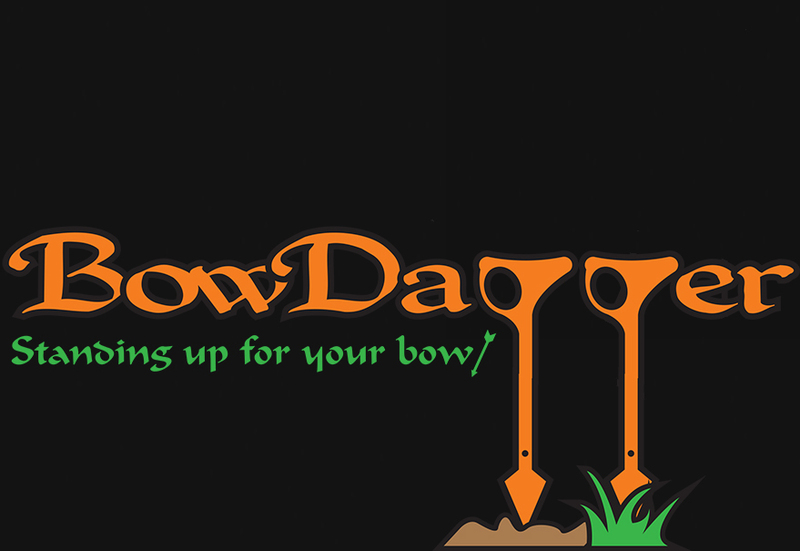 The BowDagger is the most innovative, stand-up stabilizer protecting your bow. With a 100% counter-balance vibration and shock reducing technology, the BowDagger is the first ever riser-fixed accessory for ground, tree stand and hard surface hunting. Never miss a video! Subscribe to our YouTube channel to stay up-to-date with the BowDagger System.